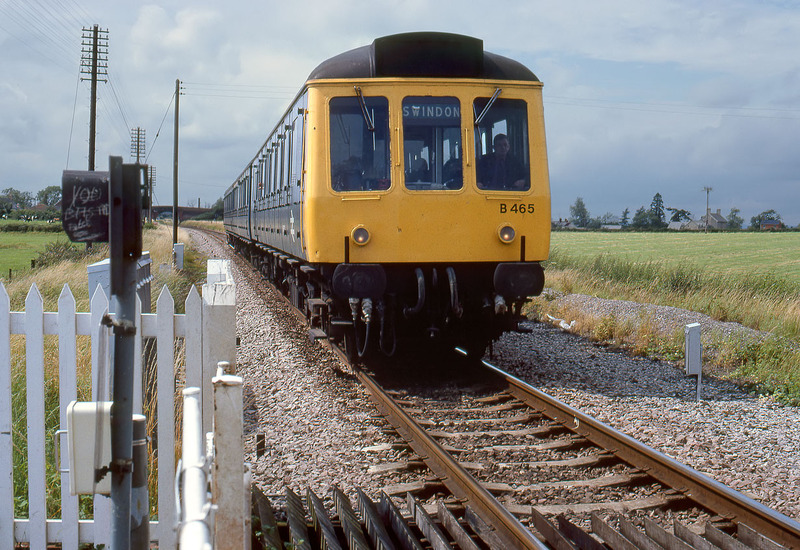 B465 (51307, 59474 & 51322) approaches Collins Lane level crossing, near Purton on 4 August 1980 with the 13:37 Cheltenham to Swindon service. A brief burst of sunshine on an otherwise cloudy day was a welcome bonus. A short while later I pictured the same unit returning to Cheltenham from the bridge in the background.